OrgWeaver is a simple org chart creator that saves time and money. Import your own data. View & collaborate securely online. Export to PowerPoint or Excel. OrgWeaver lives securely online. No need to ask IT to support another solution. 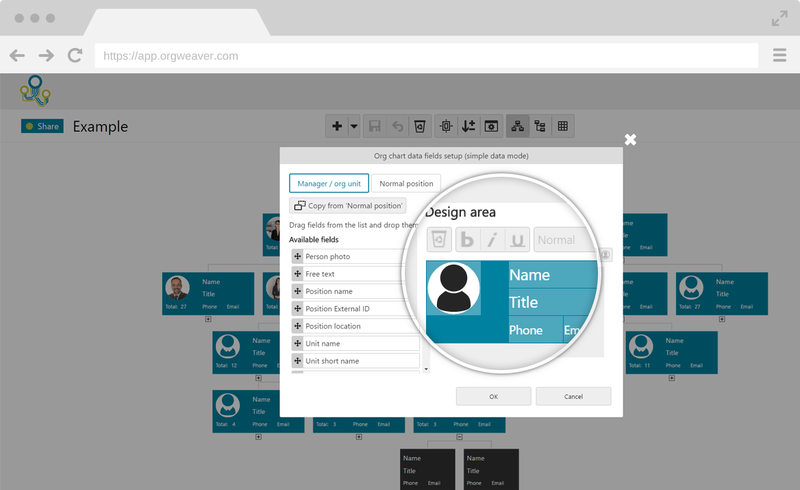 OrgWeaver automatically creates fully-editable PowerPoint organizational charts. Making org charts is usually a pain. 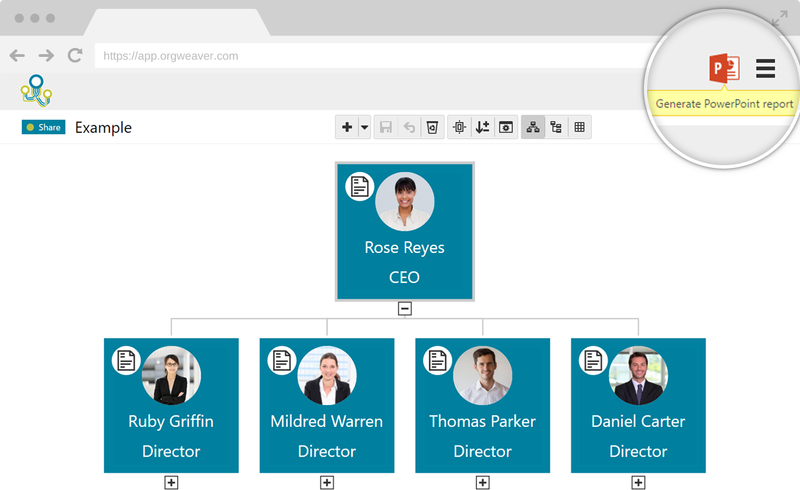 With OrgWeaver, you can simply create an online org chart that fits your needs. View and collaborate on your org chart online. Publish your org chart to PowerPoint to keep an offline copy. Your data is safe in state-of-the-art data centers managed by Microsoft in the European Union. 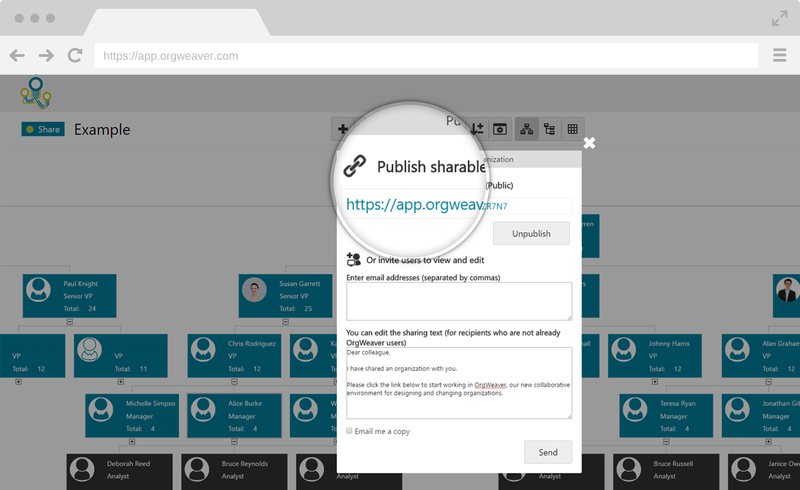 Once you’re up and running with OrgWeaver, you can make, share, and edit org charts in record time. Every OrgWeaver subscription includes 100 positions and 3 PowerPoint exports for free.